THE Hip Hop Blog For Saint Louis. On Errthang. The St. Louis Trotters Pro Basketball Club to commemorate their 2nd season in the IBA League by releasing their Trotters City GameDay Mixtape hosted by Durrty Boyz. 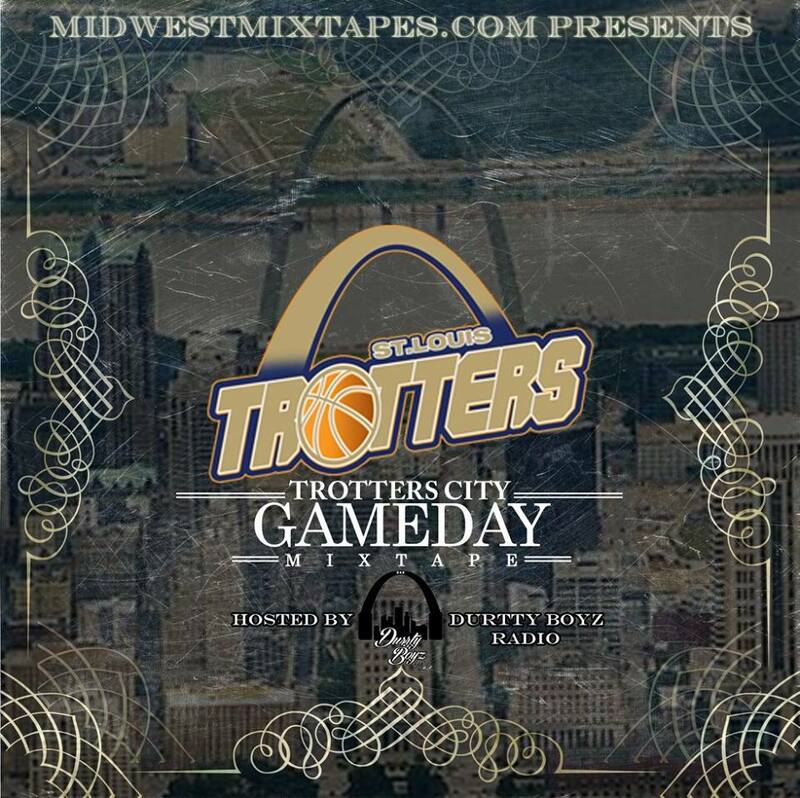 The Trotters City GameDay Mixtape mixes music from around various cities of the IBA League such as: Gary, IN, Rockford, IL, Chicago IL, and St. Louis, MO. Future releases will contain music from other IBA cities as far away as NY, LA, and Houston, TX. St. Louis, MO is the focal point of this project as it showcases some of the cities top talent in Chingy, Tef Poe, Rockwell Knuckles, Legend Camp, Bo Dean, MoTre and Nikko Smith. Other highlights include a track from the winner of Coors Light’s the Coldest MC Contest, Mr. Hyde of Chicago, IL., and Young Money touring artist Yung Stet of Rockford, IL. The project will be hosted by the Durrty Boyz and presented by the mixtape site juggernaut MidwestMixtapes.com exclusively. The project is slated for release Oct 19 as the IBA season starts! Be sure to check out www.stlouistrotters.com for all news and info on professional basketball in St. Louis!